The Sea of Galilee is an oval-shaped body of water about eight miles wide and thirteen miles long, and is nearly 700 feet below sea level. Luke, who was well traveled, always referred to it more properly as a lake. Yet Josephus reports that in the first century a.d. some 240 boats regularly fished the waters of that lake. Much additional fishing was done along the shore, as Simon who was called Peter [see Matt. 16:16–18], and Andrew his brother were doing on this occasion, casting a net into the sea. In that day, three methods of fishing were used. One was by hook and line, the second was by a throw net cast from the shallow water along the shore, and the third was by a large dragnet strung between two or more boats in the deep water. Peter and Andrew were here obviously using the second method. That net was probably about nine feet in diameter, and the two brothers were skilled in its use, for they were fishermen by trade. The Greek term for that particular net was amphiblēstron (related to our amphibious, an adjective describing something related to both land and water)—so named because the person using the net would stand on or near shore and throw the net into the deeper water where the fish were. When Jesus called those first disciples, He gathered together the first fish-catching crew of His church. They were the first of the original band of evangelists He called to fulfill the Great Commission. They were Jesus’ first partners in ministry. He had the power and the right to accomplish the work of proclaiming the gospel by Himself. But that was not His plan. He could have done it alone, but He never intended to do it alone. From the beginning of His ministry, His plan was to use disciples to win disciples. He would command His disciples to do other things, but His first call to them was, Follow Me, and I will make you fishers of men. We are given specific details of the callings of only seven of the original twelve. But Jesus individually selected those who would become part of the first marvelous ministry of winning people to Himself. “He called His disciples to Him; and chose twelve of them, whom He also named as apostles” (Luke 6:13). God always chooses His partners. He chose Noah and Abraham, Moses and David. He chose the prophets. He chose Israel herself to be a whole nation of partners, “a kingdom of priests and a holy nation” (Ex. 19:6). Jesus told His disciples, “You did not choose Me, but I chose you, and appointed you, that you should go and bear fruit” (John 15:16; cf. 6:70; 13:18). Paul called Epaenetus “the first convert [lit., “firstfruit,” aparchē] to Christ from Asia” (Rom. 16:5). The disciples’ obedience was instant: And they immediately left the nets, and followed Him. The sovereign authority of the Lord had spoken. Followed is from akoloutheō, which conveys the idea of following as a disciple who is committed to imitating the one he follows. Many years ago an Italian recluse was found dead in his house. He had lived frugally all his life, but when friends were going through his house to sort out the few possessions he had accumulated they discovered 246 expensive violins crammed into his attic. Some even more valuable ones were in a bureau drawer in his bedroom. Virtually all of his money had been spent buying violins. Yet his misdirected devotion to the instruments had robbed the world of their beautiful sounds. Because he selfishly treasured those violins, the world never heard the music they were meant to play. It is even reported that the first violin the great Stradivarius ever made was not played until it was 147 years old! Many Christians treat their faith like that man treated his violins. They hide their light; they squirrel away their great treasure. By not sharing their light and their treasure, many to whom they could have witnessed are left in spiritual darkness and poverty. Some researchers estimate that as many as ninety-five percent of all Christians have never led another person to Jesus Christ. If that is true, ninety-five percent of the world’s spiritual violins have never been played! True love of our riches in Christ leads us to shine and share, not to hide and hoard. When D. L. Moody once visited an art gallery in Chicago he was especially impressed by a painting called “The Rock of Ages.” The picture showed a person with both hands clinging to a cross firmly embedded in a rock. While the stormy sea smashed against the rock, he hung tightly to the cross. Years later Mr. Moody saw a similar picture. This one also showed a person in a storm holding to a cross, but with one hand he was reaching out to someone who was about to drown. The great evangelist commented that, though the first painting was beautiful, the second was even lovelier. 19–20 Greek has several expressions for “follow me” (cf. 10:38; Lk 9:23; 14:27), but they all presuppose a physical “following” during Jesus’ ministry. His “followers” were not just “hearers”; they actually followed their Master around (as students then did) and became, as it were, trainees. The metaphor “fishers of men” glances back to the work of the two being called. It may also be reminiscent of Jeremiah 16:16. 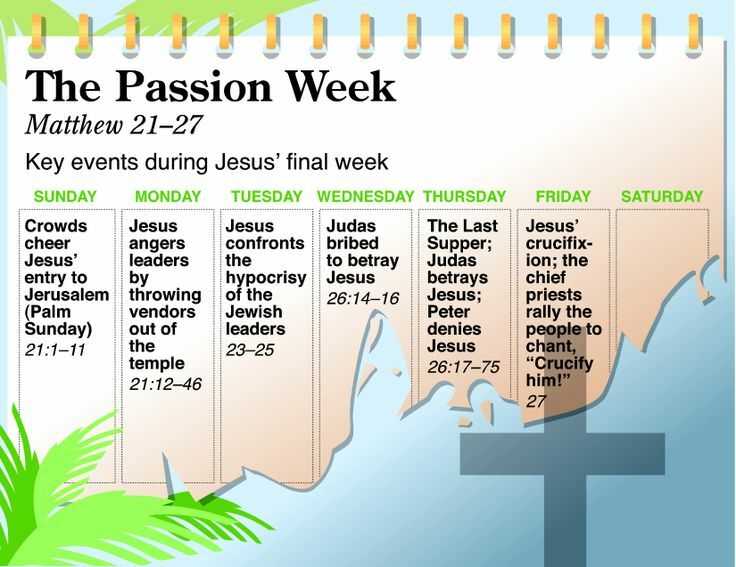 There Yahweh sends “fishermen” to gather his people for the exile; here Jesus sends “fishermen” to announce the end of the exile (see comments at 1:11–12; 2:17–18) and the beginning of the messianic reign. But this allusion is uncertain. The danger of “parallelomania” (coined by S. Sandmel, “Parallelomania,” JBL 81 : 2–13) is evident when E. C. B. MacLaurin (“The Divine Fishermen,” St. Mark’s Review 94 : 26–28) works out many parallels and then opts for Ugaritic mythology a millennium-and-a-half old. In any case, there is a straight line from this commission to the Great Commission (Mt 28:18–20). Jesus’ followers are indeed to catch men. 4:18–22 / The Sea of Galilee (also called Gennesaret, Luke 5:1, and Tiberias, John 21:1) is a pear-shaped lake measuring 13 miles north to south and eight miles east to west. It lies 680 feet below sea level in a very warm climate. The surrounding countryside is fertile. Josephus reports that in the time of Christ nine cities lined its shores and its waters were crowded with fishermen. Walking along the lake Jesus sees two brothers, Simon and Andrew, at work casting their net for fish. Simon (who was given the name “Peter” at Caesarea Philippi, 16:18) and Andrew were originally from the town of Bethsaida on the north side of the lake where the Jordan River enters (John 1:44). At this time, however, it appears that they were living in Capernaum (cf. Mark 1:29). Peter became a leader among the disciples and, along with James and John, formed an inner circle (cf. Mark 5:37; Matt. 17:1; 26:37). Jesus calls them from catching fish to a new kind of “fishing—Come, follow me, and I will make you fishers of men (v. 19). The call is not unlike that of Old Testament prophets (cf. 1 Kings 19:19–21). To leave one’s work and quite literally “follow after” Jesus is what it means to be a disciple (this reflects the practice of many famous teachers of antiquity). The response was immediate. Peter and Andrew leave their nets and follow Jesus. Shortly after this another set of brothers, James and John, were working on their nets in a boat with their father Zebedee. When called by Jesus they abandon their work and follow Jesus. The urgency of the call and the immediate response of the fishermen are worthy of note. Jesus called as his helpers not the religious leaders of Jerusalem but common people from the mixed population of Galilee. Religious knowledge often hinders the action required by genuine faith. 4:18–22. Peter, Andrew, James, and John were fishermen (all involved in a family business) living in Capernaum or nearby Bethsaida (see John 1:44). This was apparently also the home of Matthew at the time of his calling (9:1, 9), and of Philip and possibly Nathanael (John 1:43–45). The fishing profession in that day probably carried with it the same kind of social stigma that “common laborer” does today. Three of the four (Peter, James, and John) would become Jesus’ closest earthly friends. And Andrew played a significant role in his ministry more than once (Mark 13:3; John 1:40; 6:8; 12:22). Matthew left his readers with the impression that this was Jesus’ first encounter with these four men. However, John recorded that some of the Twelve (at least Andrew, Peter, Philip, and Nathanael) had been with Jesus during his earlier ministry (John 1:35–51; 2:2, 12, 17; 3:22; 4:1–2, 27–33). Jesus had known his disciples for some time and had even seen them in ministry situations. Thus, their decision to follow him was not hastily made. However, this does not decrease the significance of their commitment. In fact, quite the opposite. These men, in well-reasoned decisions, left both career and family to follow Jesus. And their confidence in him was such that, when he called, they all came at once (4:20) or immediately (4:22). They literally dropped their nets and left the boats in which they were standing. James and John left their father standing with his boats. When Jesus said, Come, follow me (4:19), he was calling these men to a new career. In keeping with his skill as a teacher, he used terminology that would inspire them because of its relationship to their life experience. These men knew how to fish—for fish. So they had some concept of the task to which he was calling them. However, even though they had some familiarity with the concept of fishing, Jesus would still need to transform them into fishers of men. And that is the point of most of the teaching that follows, including the Sermon on the Mount—Jesus taught his disciples! He trained the Twelve whose names would one day mark the foundation “stones” (Matt. 16:18; Eph. 2:20; Rev. 21:14) of the New Jerusalem! 18 While he was walking along the Sea of Galilee he saw two brothers, Simon called Peter and Andrew his brother, throwing a casting-net into the sea, for they were fishermen. 19 He said to them, “Come, follow me, and I will make you fishers of men.” 20 At once they left their nets and followed him. 21 And going on from there he saw two other brothers, James the son of Zebedee and John his brother, in the boat with Zebedee their father, mending their nets; and he called them. 22 And immediately they left the boat and their father and followed him. 18–20. While he was walking along the Sea of Galilee he saw two brothers, Simon called Peter and Andrew his brother, throwing a casting-net into the sea, for they were fishermen. He said to them, Come, follow me, and I will make you fishers of men. At once they left their nets and followed him. As stated in the explanation of verse 17 (see especially d above), the wonderful gospel of the kingdom was not intended only for the men living during the time of Christ’s earthly ministry. It was intended for the ages. It is not at all surprising, therefore, that at the very beginning of his ministry Jesus chose men who, by means of their testimony both oral and written, would perpetuate his work and proclaim his message. For a teacher to have not only a general audience but also a band of close companions or disciples was nothing new. Did not Socrates have disciples? Did not John the Baptist? The Pharisees? The rabbis? Christ’s disciples were to become the links between himself and his church. They were to be the precious foundation stones for Jerusalem the Golden (Rev. 21:19, 20). Think, for example, of the importance of such men as Matthew, John, and Peter in the formation of the Gospels, which are our chief sources of information about Jesus Christ. Accordingly, while he was walking along the Sea of Galilee Jesus invites certain men to come to him. The one mentioned in John 1:35–51. See N.T.C. on those verses. The one mentioned here (Matt. 4:18–22; Mark 1:16–20). The one mentioned in Luke 5:1–11. The one mentioned in Matt. 9:9–13; Mark 2:13–17; Luke 5:27–32. The one mentioned in Matt. 10:1–4; Mark 3:13–19; Luke 6:12–16. About February of the year a.d. 27 this call was extended to Andrew and an unnamed disciple, in all likelihood John, inviting them to accept Jesus of Nazareth as the Messiah, and to become his spiritual followers. Andrew brought his brother Simon (Peter) to Jesus. John probably rendered the same service to his own brother James. Almost immediately afterward Philip and (through him) Nathaniel were added to the list. Although occasionally accompanying Jesus on his trips, the disciples continued to pursue their secular occupations. This occurred about a year later; hence, about February of the year a.d. 28. The four disciples referred to in John 1:35–41 (Peter, Andrew, James, and John) now become the Lord’s more steady companions, and are made more conscious than ever of the fact that they are being trained for apostleship, that is, for becoming “fishers of men.” Even now, however, Matt. 4:20 and 22 can hardly be interpreted to mean that they bade a final farewell to their secular occupation as fishermen. More will be said about b. in a moment. This takes place a little later. It comprises the story of the miraculous catch of fishes. Luke 5:10b resembles Matt. 4:19b and Mark 1:17b; that is, “catch men” and “become fishers of men,” are similar, though perhaps not identical, the Matthew and Mark passages emphasizing the effort, the Luke passage the success. Aside from this resemblance, however, the two accounts are entirely different. In the Matthew-Mark account Jesus is walking along the sea; in Luke he is standing. In the former Simon and Andrew, James and John are all mentioned by name. All are also addressed by Jesus. In the beloved physician’s account Jesus directs his words to Peter alone. Andrew is not even mentioned, though he may have been present. In the earlier account Simon and Andrew are casting a net into the sea; i.e., they are fishing; James and John are mending their nets. In Luke the fishermen are washing their nets. In the former, Peter and Andrew leave their nets and follow Jesus; similarly, James and John leave the boat and their father and follow the Master. But in Luke the disciples leave all, during the entire precrucifixion period of Christ’s earthly ministry saying farewell to their occupation as fishermen, and following Jesus permanently. This concerns the entire group of twelve. For all of them it is the formal call to discipleship-apostleship. There was probably a brief interval between Mark 3:13–19 (cf. Luke 5:27–32) and Matt. 10:1 ff. The men who were chosen by Jesus to be his immediate companions needed to be trained for apostleship. Simon the fickle must become Peter the rock. Something similar was true with respect to all. When we first meet these men, and to a certain extent even much later, they manifest lack of deep spiritual penetration (Matt. 13:6; 15:33; 16:7–12, 22, 23; 17:10–13; 19:10–12, 23–30; 24:3); of fervent sympathy (14:15, 16, 23; 19:13–15); of profound humility (18:1–4); of the gladly forgiving spirit (18:21, 22); of persevering prayerfulness (17:16–21); and of unflinching courage (26:56, 69–75). Nevertheless, on their part it required a degree of courage to become Christ’s followers and thereby face the opposition of many, including the religious leaders. For further details on The Twleve see on 10:1–4. In this connection one fact must not be ignored. Their decision to side with Jesus exhibits his greatness: the impelling force of his influence over the minds and hearts of men, so that when he calls they follow immediately. The breadth of his sympathy and the magnitude of his power are also shown here. Is it not marvelous that he was willing and able to take such common folk, four fishermen, etc., unlettered individuals, and, in spite of all their prejudices and superstitions, to transform them into instruments for the salvation of many; to make them leaders who, by means of their testimonies, would turn the world upside down? Peter, the impetuous (Matt. 14:28–33; 16:22, 23; 26:33–35; John 18:10), who becomes the leader of The Twelve, and is mentioned first in every list of apostles (Matt. 10:2–4; Mark 3:16–19; Luke 6:14–16; and Acts 1:13). Peter’s brother Andrew, who is always bringing people to Jesus (John 1:40–42; 6:8, 9, cf. Matt. 14:18; John 12:22). Zebedee’s son James, the first of The Twelve to wear the martyr’s crown (Acts 12:1, 2). His brother John, who is called “the disciple whom Jesus loved” (John 13:23; 19:26; etc.). To be sure, the Lord loved all “his own” very intensely (John 13:1, 2), but between Jesus and John the tie of attachment and understanding was the tenderest. A few more details now on verses 18–20. Peter and Andrew were throwing a casting-net into the sea. For net Matthew uses three different words. One is diktuon, used in verses 20 and 21. It is the most comprehensive or general word of all, and can refer to any net whatever, even a hunting net or a net for catching birds. In the New Testament, however, it is confined to fishing nets of any and every description. The sagene is the seine or dragnet. Very appropriately it is used in Matt. 13:47; see on that verse. The third is the one used here in 4:18 (and Mark 1:16), the amphiblestron, i.e., casting-net. When skillfully cast over the shoulder it will spread out, forming a circle as it falls into the water, and then, because of the pieces of lead attached to it, will quickly sink into the water, capturing the fish underneath. That was the kind of net with which Peter and Andrew were fishing when Jesus, walking along the sea, said to them, “Come, follow me, and I will make you fishers of men.” The Lord exercises his sovereignty over these men, not even allowing them to finish their work. They must be ready to follow immediately when he calls them. Cf. 8:21, 22; 10:37. Peter and Andrew hailed from Bethsaida (John 1:45), but Peter had recently moved to Capernaum (Matt. 4:13; 8:5, 14, 15; Mark 1:21, 29, 30; Luke 4:31, 33, 38). By this time these men had come to know Jesus, because a year had elapsed since the unforgettable event recorded in John 1:35–42. Hence, when he now (Matt. 4:19) said to them, “Come, follow me, and I will make you fishers of men,” they at once left their nets and followed, encouraged by the promise of their Lord to train them for a task far superior even to the honorable one in which they were now engaged. Instead of catching fish for the table they would recruit men for the kingdom. It must not escape us that by means of the promise, “I will make you fishers of men” Jesus sets the seal of his approval upon the words of the inspired author of the book of Proverbs, “He who wins souls is wise” (Prov. 11:30); confirms Dan. 12:3: “They that turn many to righteousness shall shine as the stars forever and ever”; adds his own authority to Paul’s striking statement, “To all I became all, that in one way or another I may save some” (1 Cor. 9:22); and anticipates his own glorious invitation, “Come to me, all who are weary and burdened, and I will give you rest” (Matt. 11:28). MacArthur, J. F., Jr. (1985). Matthew (Vol. 1, pp. 115–117). Chicago: Moody Press. Carson, D. A. (2010). Matthew. In T. Longman III & D. E. Garland (Eds. ), The Expositor’s Bible Commentary: Matthew–Mark (Revised Edition) (Vol. 9, p. 148). Grand Rapids, MI: Zondervan. Mounce, R. H. (2011). Matthew (pp. 33–34). Grand Rapids, MI: Baker Books. Weber, S. K. (2000). Matthew (Vol. 1, pp. 44–45). Nashville, TN: Broadman & Holman Publishers. Hendriksen, W., & Kistemaker, S. J. (1953–2001). Exposition of the Gospel According to Matthew (Vol. 9, pp. 245–248). Grand Rapids: Baker Book House. This entry was posted in Daily Devotional Guide, Verse of the day on March 19, 2019 by Truth2Freedom.